You didn’t think you’d get away without a tall ship photo, did you? 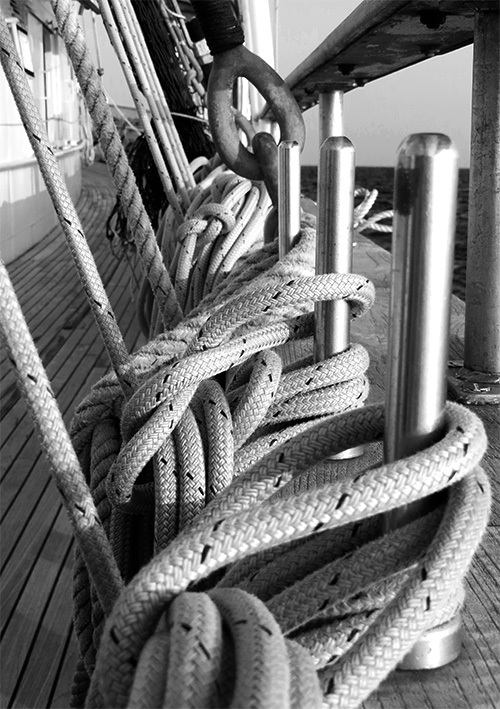 😉 This is a small sample of the ropes to be found on a barque-rigged tall ship. 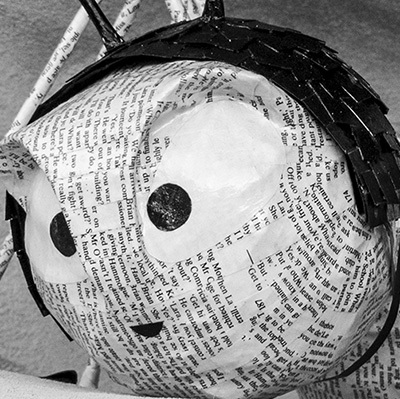 This image is my Day 5 entry in the Black and White 5 Day Challenge. Jude of Travel Words (and other sites, all well worth a visit) has honoured me by inviting me to join in with this challenge. 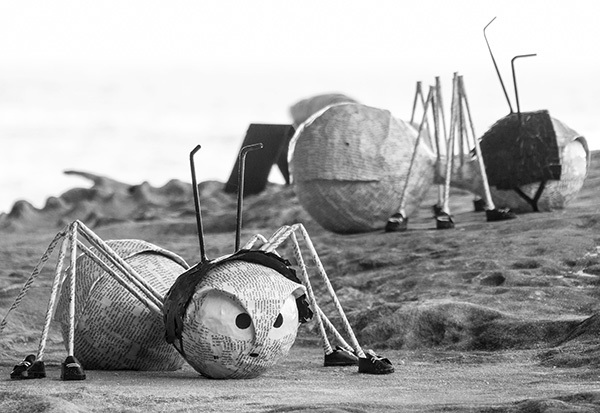 The challenge has been great fun, and I’ve enjoyed reworking a few photos in black and white. I hope you have enjoyed viewing them, too. 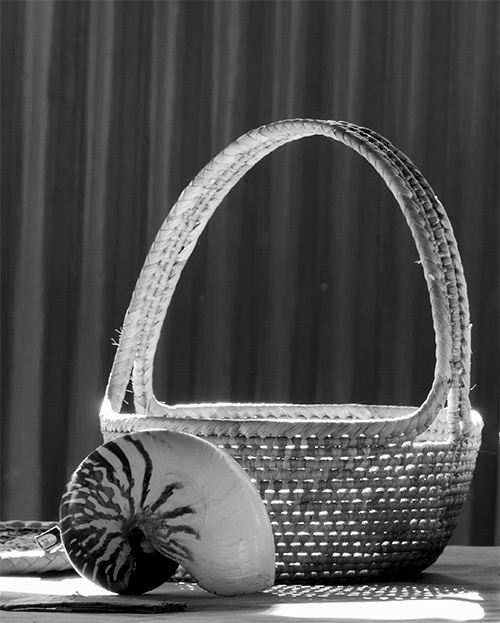 Back to Vanuatu for this one, a simple still life of a basket, a shell and a corrugated iron wall. This image is my Day 4 entry in the Black and White 5 Day Challenge. Jude of Travel Words (and other sites, all well worth a visit) has honoured me by inviting me to join in with this challenge. Revisiting one of my favourite photo concepts: a flower and a candle. I love the subtle lighting effects of a candle in a dark room. 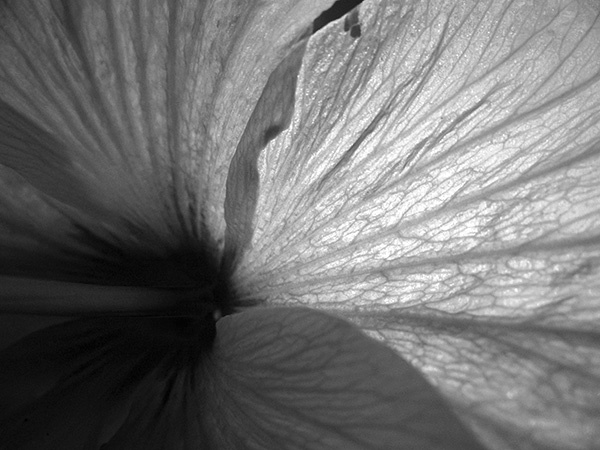 A single tea light behind the hibiscus flower highlights the network of veins in the petals. This image is my Day 3 entry in the Black and White 5 Day Challenge. Jude of Travel Words (and other sites, all well worth a visit) has honoured me by inviting me to join in with this challenge. 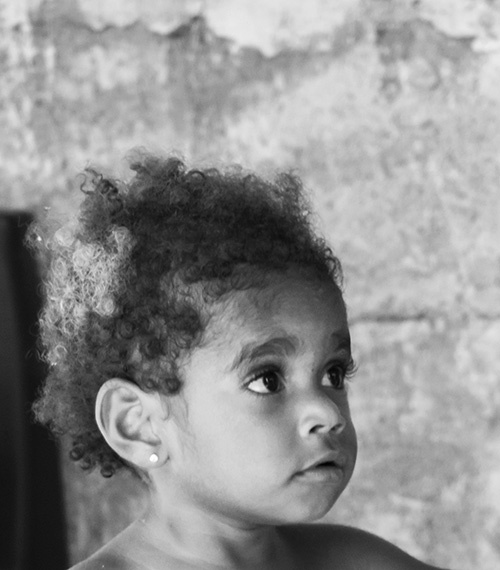 I rarely take photos of people, but this young girl was irresistible. A group of tourists from my resort were lucky enough to be given a guided walk around the resort’s driver’s village. It was a fascinating glimpse into the life of ordinary people on the island. This image is my Day 2 entry in the Black and White 5 Day Challenge. Jude of Travel Words (and other sites, all well worth a visit) has honoured me by inviting me to join in with this challenge.